The word “Boke” was first used by Japanese photographers to describe the aesthetic quality of the blur in their images. The term Bokeh was introduced to the rest of the world by an American photography magazine in 1997, the “h” was added for pronunciation purposes. As there is no other word in the English language to describe the aesthetic quality of a blurred foreground or background, it only seems fitting that the rest of the English speaking world adopted the Japanese term. Couple Bokeh with a tilt and shift lens and you can get really creative and capture the world in miniature, see below. 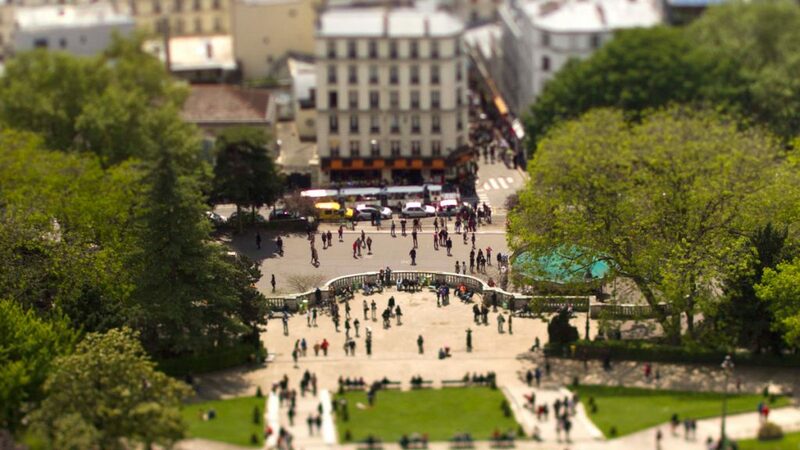 If you’re unable to stretch to a tilt and shift optic the same effect can be achieved using photoshop.